We planned a build a rotary tumbler, Y to print all the parts in 3d printing. So we decided to collect the parts which are available in my waste printers robotic parts etc and the results are here. This is simple one and least cost. 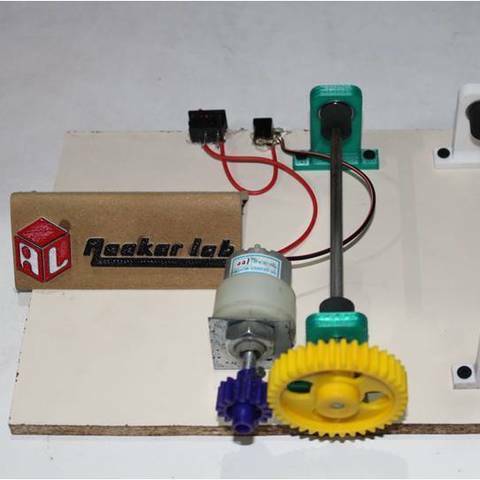 The motor used 100RPM geared motor and 2 gears. Rods used is 5mm and bearing is 626zz which is fixed to a 3D printed holder. The bearing required is 4 nos and bearing housing is also 4 nos screws for fixing motor and bearing holder. The rubber material 2 Nos on each rod is placed which helps to rotate the box easily without skid. The rubber can be adjusted its position on the rod so that any size can be placed. Due to all the parts are separate the size of this rotary tumbler can be increased. If you liked our work please subscribe our you tube channel.